Here is your Libra Horoscope for September 2018. Every month, you will find at WeMystic the astrological forecasts for your zodiac sign. The entry of Mars in the V House of Libra (10/09) speaks of taking the lead if a romantic possibility is likely to emerge. This may arise unexpectedly and may include someone of another nationality or who resides abroad (Eros in the IX House, from 16/09). This relationship could be consolidated over time (Juno in the IX House of Libra from 29/09), provided that you overcome the blockages associated with relationships, which will reveal the final phase of the Chiron retrograde in the VII House of the balance (until 24/09). Remember that Uranus is also in the phase of apparent retreat in the VIII House of Libra, so there is resistance to having a real trust (or delivery) in the other and showing your vulnerable face. On the other hand, the beginning of the direct phase of Saturn and Pluto in the IV House of Libra (on September 06 and 30, respectively), translates into a better understanding within the family environment. Chapters related to the past are closed (negative or painful experiences), and a climate of greater harmony is encouraged. Under these alignments, it will be beneficial for you to seek advice from older people within your family clan. With the Sun in Libra starting on September 22, you will be closer to your true desires and goals, the connection with your own essence and the true purpose of life. It is an excellent time to work on your self-knowledge. The entrance of Venus in the II House of Libra (09/09) announces financial opportunities, especially if you work in the real estate field, want to make transactions of purchase, sale or rental of real estate. Recall that Jupiter is also in this location (II House of Libra), so that the new funds received will be used with criteria of expansion (thinking about the future). These alignments (Jupiter and Venus in Libra’s II House) also favor those who are involved with the artistic medium, particularly writers and scriptwriters, and those who seek to attract investors. However, it is convenient to bear in mind that Uranus remains retrograde in the VIII House of Libra, which can lead to economic conflicts with your partner or family because of the common heritage. Transits on the VIII House refer us to situations where the trust we have in others comes into play, the ability to delegate or value their contributions and opinions. If you close yourself to listen to other points of view because they seem quirky or impractical (retrograde Uranus), you will be losing opportunities for growth. Beware, it is not about accepting something that goes against your principles or an objective assessment, but about being receptive (not fickle). If you are discordant, you should manifest this clearly, but with respect to the opposite view. In the labor field, the entrance of the Chiron retrograde in the VI House of Libra (25/09), where Neptune is also in apparent retreat, will make it clear that your need to control everything moves you away from reaching your objectives quickly. Likewise, there is evidence of the lack of consistency in the achievement of the goals and a clear tendency to draw unrealistic plans or to execute projects with a predisposition towards negative results. The recognition of this situation is not to reaffirm your fears, but to overcome them. The advice of family and friends can help you to see the reality about what you have achieved, and not a distorted version by the traps of your ego. The entrance of Eros and Juno to the IX House of Libra (on September 16 and 29, respectively) will open an opportunity for new projects and invite you to build new positive personal beliefs. This transit (Eros and Juno in the IX House) will be very favorable for students of the sign, and also for those who want to initiate language courses, professional improvement, university studies, or explore the possibilities of development in other spaces, far from the usual environment (scholarships and trips abroad, contacts with other cultures). The Neptune retrograde in the VI House of Libra can cause difficulties in falling asleep or little rest due to the manifestation of intense unconscious or dreamlike activity. You can feel drained energetically or that you need to sleep more hours. There is also a tendency to accumulate tension in your back and neck area, due to the stress of daily life. To counteract these effects, it is necessary to set aside perfectionism, nonconformity, pessimism and the habit of creating self-fulfilling prophecies (“I know what will happen, and it will not be good”). Keep in mind that if you focus your attention on the negative, you will invariably attract it to your environment. The practice of conscious relaxation exercises will also be a great ally, as well as receiving therapeutic massage (from qualified professionals). With the arrival of the Chiron retrograde to the VI House of Libra (on 25/09) this type of pattern will be more evident. You can take advantage of this transit to reconnect with your own body in a healthy way and work on your psychological and spiritual well-being (alone and with the accompaniment of specialists), or ignore the signs and fall into a constant repetition of negative behaviors. 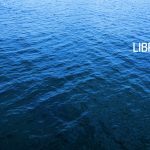 The entry of the Sun to Libra on September 22 will provide you with physical vitality and the opportunity to establish a connection with your essence. By recognizing your purpose and objectives, you will be clearer in the actions you must take to achieve them. In this sense, the presence of Ceres in Libra (from September 6) will facilitate the process of meeting your true needs without falling into external distracting elements.